The prime real estate and large viewing window of Concordia University Ann Arbor’s new Career Engagement Studio make the space nearly impossible to miss for anyone taking a stroll through campus. The view from the studio opens up onto the central courtyard, CUAA’s main thoroughfare, and at any given point in the day passersby are likely to spot the room bustling with activity. Even the eye-catching décor contributes to the appeal: red IKEA chairs offer pops of color, and students peering in from outdoors will immediately spot a floor-to-ceiling photo mural of recent CUAA alumni living out their vocations. All of this is by design—even the decision to call the room a studio. Last fall when Dr. Joey-Lynn Bialkowski, former Haab School of Business professor and director of Concordia’s sport and entertainment business program, took charge of what was previously called the Office of Career Services she knew she’d need a space and resources that would meet the rhythm of how Concordia students prepare themselves for lives after college. 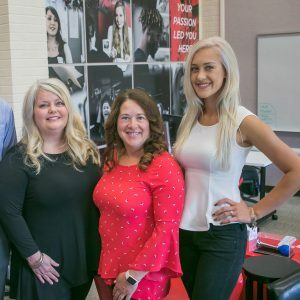 Bialkowski officially stepped into her new role in June 2017 and brought with her fellow Haab School of Business faculty member Lisa Johnson, who now serves as director of the Career Engagement Studio. Together with a team of career ambassadors, Concordia’s revamped Office of Career Engagement and Industry Relations (CEIR) put out promising results at the close of its inaugural academic year, having multiple graduate placements with nationally recognized companies, including the Detroit Tigers, Enterprise Holdings, and the Michigan Medicine health care system. What’s happening “in there” is also a shift from the traditional. An early student focus group helped Bialkowski and Johnson quickly realize that CUAA students equated “career services” with more work. So in the past year the CEIR team members have aimed to keep their efforts relevant, purposeful, and engaging with high energy, short meetings, and fun incentives. They began last year to host “Take 20s,” for example, which offer 20 minutes of hard and fast professional development insights that students can simply drop in on instead of scheduling an appointment to attend. They also began to invite students to stop into the studio to publicly celebrate their personal milestones by picking up a novelty horn and literally tooting their own horn. And they laid the groundwork of infusing themselves into each academic school’s curriculum to ensure they consistently hit their student touch-point benchmarks. 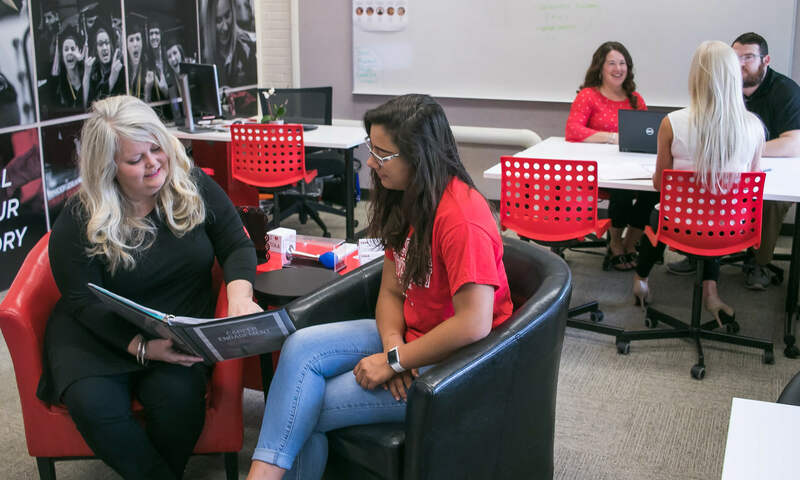 Their ultimate goal is to connect with 100 percent of the CUAA student body each year. They made progress toward that end last school year with a 154 percent increase in their student touch-point rate from the fall 2017 to spring 2018 semester. Each student requires a personalized approach, says Johnson. Oftentimes students come in unaware of the gifts and skills they already possess. The CEIR staff’s role is to draw out students’ stories, help them recognize what’s already there, and make the connection between their gifts and a possible career path. The fall Arbor Light hits mailboxes the week of October 1, 2018. View a .pdf of the Arbor Light magazine here. If you are not on our mailing list, but are interested in receiving a free copy, call 734-995-7317.